I'm not a father, and I'm pretty unlikely to become a father at this point (I turn 45 in a few weeks). But I have a father and I am a godfather to a toddler boy. A number of my friends are fathers. The Christian winter holidays (Christmas, Holy Innocents, Epiphany, and the story of the flight into Egypt) and an icon I saw in a church serving as a concert venue, along with all these other elements, have me thinking about fatherhood. The image above is the first iteration of this meditation, and it reflects my lifetime of hearing Christian stories. Called Joseph, after the father of Jesus, it attempts to capture the certain affection Joseph felt for his son at the same time as he considers the implausible stories he's been told, that his son is literally the son of God and will be a leader of all the faithful. On top of all that (as if it were not enough), he worries about the threat to his own life and the life of his family (wife and son) shown him in a dream. Fatherhood is complex, but at its core, emotional. 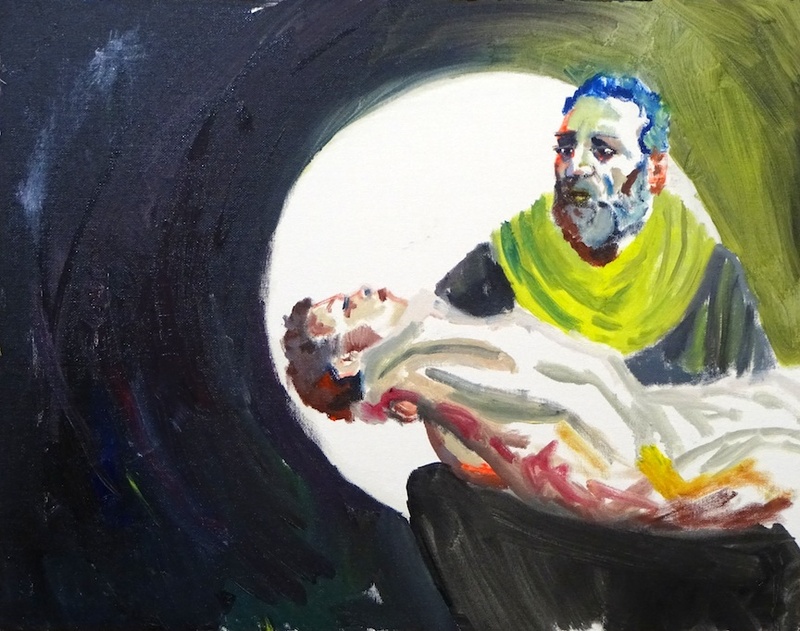 The second meditation in this series is above, called Joseph 2 for now. Again, the core of the experience is joyful and affectionate, but the father remains concerned about safety and protecting his family. His young charge requires education and rearing. Fatherhood is joy and responsibility. 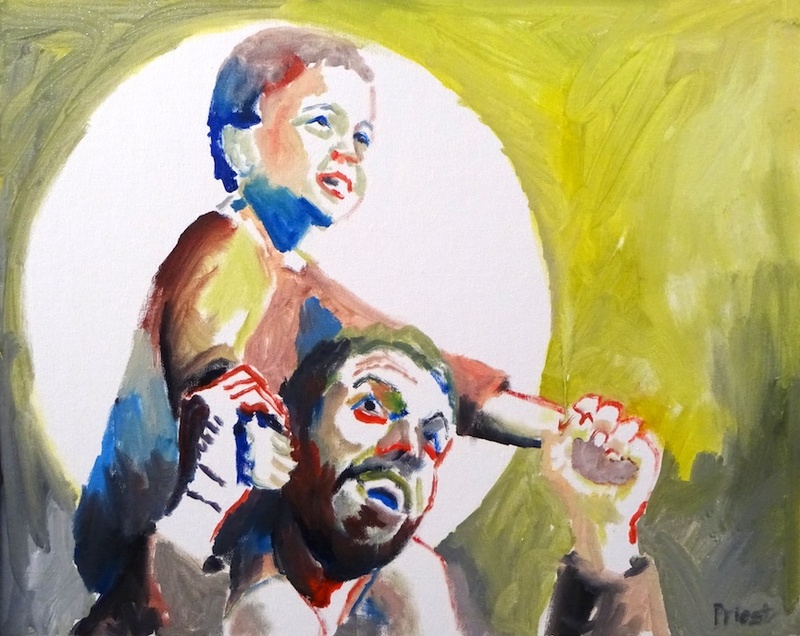 This father continues the themes of the other two pieces, but captures a moment of heartache. While the child might simply be asleep, he might also be quite ill. This older child has greater independence from his father than the infant or toddler, but the boundless possibility of the tiny child narrows as aptitudes and interests become apparent; the child is becoming himself, regardless of the father's wishes and dreams for him. Fatherhood is grief. The fourth piece in this series (and the last at this moment) takes the grief to its ultimate extreme. The figures are based on Walter Hancock's WWII memorial sculpture in Philadelphia's 30th Street Station: Angel of the Resurrection. This piece again reflects my lifetime of hearing Christian stories. When Jesus is murdered by the state, the varying accounts tell us his mother was present, but by Jewish custom, Joseph would have been expected to take charge of his son's lifeless body. 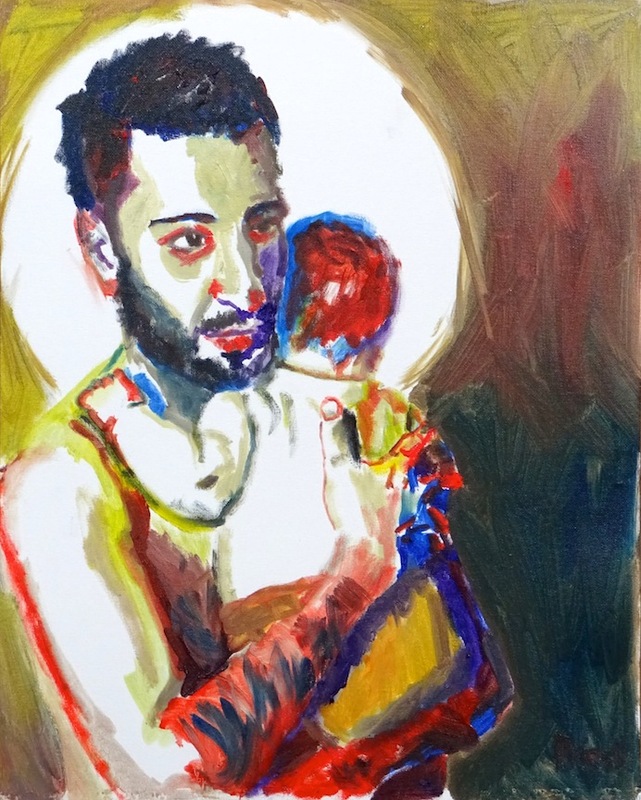 Other meditations during the creation of this image include fathers supporting their children (literally, financially, etc) after mistakes and misfortunes. Fatherhood is a lifelong undertaking. I don't pretend to fully understand fatherhood nor to have captured it utterly faithfully. I feel like I am taking a big risk sketching out my thoughts alongside these images, but I am also learning to embrace vulnerability as part of my creative vocation. I would very much appreciate any thoughts you might have, gentle reader, in the comments.